Three 6 Mafia are a hip hop group originally from Memphis, Tennessee, signed to Sony Music Entertainment under the Columbia Records imprint. Formed in 1991 as Backyard Posse then later Triple 6 Mafia, by DJ Paul, Lord Infamous, Juicy J and Koopsta Knicca, the group later included two more members including; Crunchy Black and Gangsta Boo (both added shortly before the release of their debut album Mystic Stylez). The group has also collaborated with many other rappers on their own label; Hypnotize Minds, where they launched the careers of many Memphis rappers, such as Frayser Boy, Gangsta Blac, Lil Wyte and Indo G. The group frequently collaborates with Project Pat (Juicy J’s older brother). Their 2005 song “It’s Hard Out Here for a Pimp” from the 2005 film Hustle and Flow won Best Original Song at the 78th Academy Awardswith the group being the first hip hop artists to perform at the ceremony. The group released their debut underground album Mystic Stylez in 1995 through Prophet Entertainment, a record label they created but have since relinquished control of. Their musical style—which initially featured dark, menacing beats with equally gritty lyrics—has since moved to a more mainstream sound. The group has also had numerous lineup changes, and now consists of original members Juicy J and DJ Paul. Nonetheless, they have cultivated a sizable and diverse cult following that has only increased since their Oscar win. Two of their albums are RIAA-rated platinum: When the Smoke Clears: Sixty 6, Sixty 1 (2000) and Most Known Unknown (2005), the latter featured their well-known single “Stay Fly”, which is said to have kick-started their rise to fame and the mainstream. The group’s worldwide album sales stand at 5.5 million. In 2013, five of the original members reunited, performing under the name Da Mafia 6ix, and are planning to release a new album in Q2 2014. The group started in 1991 in Memphis with DJ Paul (Paul Beauregard), Juicy J (Jordan Houston) and Lord Infamous (Ricky Dunigan). The original name for the dark hip hop group was “Backyard Posse”. The group formed through the release of numerous EPs from their own record company with Nick Scarfo, Prophet Entertainment, which were sold around Memphis and the Mid-West. Later DJ Paul and Juicy J formed their own label, Hypnotize Minds Records. During their early career, they also propelled the careers of several other rappers. Eventually added before the release of Mystic Stylez were rappers Koopsta Knicca (Robert Cooper), Gangsta Boo (Lola Mitchell), and Crunchy Black (Darnell Carlton). They left the label due to money disputes. The group expanded and help start the careers of notable Mafia affiliates such as Project Pat, Al Kapone, La Chat, Lil Wyte, T-Rock, Killa Klan Kaze, Playa Fly and Indo G. The production acumen of Juicy and Paul also brought about a number of side projects such as Tear da Club Up Thugs, Hypnotize Camp Posse and Da Headbussaz as well as independent label ventures. At this point in the group’s evolution, having signed to a major label and having scored an admirable hit single, group leaders DJ Paul and Juicy J began extending their brand. They started by releasing solo albums by Gangsta Boo and Koopsta Knicca, solo albums by their affiliates such as, Can It Be? by Gangsta Black, Ghetty Green, Murderers & Robbers, Mista Don’t Play: Everythangs Workin’ and Layin’ da Smack Down by Project Pat, Doubt Me Now, Phinally Phamous, The One and Only and The Bad Influence by Lil Wyte, Angel Dust by Indo G, Gone On That Bay by Frayser Boy, and compilation-styled albums such as collections of tracks from earlier years (Underground Vol. 1: (1991-1994), Underground Vol. 2: Club Memphis, Underground Vol. 3: Kings of Memphis). 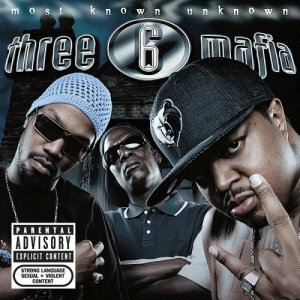 Three Six Mafia also originally coined the term “Crunk” as a description of their Southern type sound. On June 7, 2006, Sony officially acknowledged the departure of original Triple Six Mafia member Crunchy Black. He stated his reason for departure was to make a solo album that DJ Paul and Juicy J had allegedly put off for years, with most of the material being used for Most Known Unknown. Thereafter Three Six Mafia consisted just of remaining members DJ Paul and Juicy J. The two producers of the group had their own reality show, Adventures in Hollyhood, on MTV. The show focused on what it’s like to be a member of Three Six Mafia, balancing the increased fame after their Oscar win while attempting to stay true to their fans. 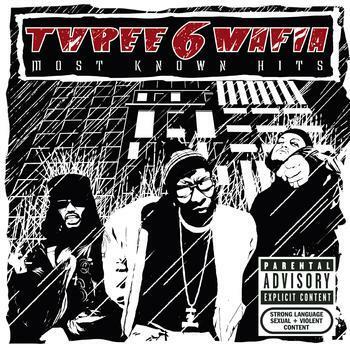 The show premiered on April 5, 2007 on MTV.Three 6 Mafia also featured on Justin Timberlake’s “Chop Me Up” from his 2006 album FutureSex/LoveSounds. After leaving Three 6 Mafia a number of years prior, Lord Infamous was featured on DJ Paul’s second solo album Scale-A-Ton, which was released on May 5, 2009. Lord Infamous was featured on 8 tracks. Juicy J’s second solo album Hustle Till I Die was released on June 16, 2009. The album featured his brother and frequent collaborator Project Pat and other rappers such as V-Slash, Gucci Mane, Webbieand Gorilla Zoe. 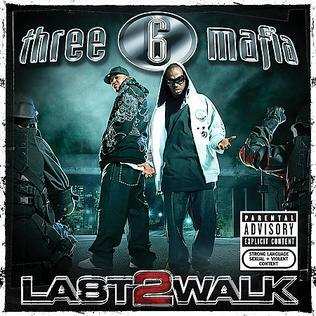 Three 6 Mafia released their eighth studio album Last 2 Walk on June 24, 2008, after multiple delays. The album featured collaborations with Project Pat, Lil Wyte, Akon, Good Charlotte, Lyfe Jennings and UGK. The group were working on their tenth studio album titled Laws of Power in 2009, it has spawned four singles so far, “Shake My” featuring R&B signer Kalenna and rapper Pitbull was released September 8, 2009. “Lil’ Freak (Ugh Ugh Ugh)”, which features Louisiana rapper Webbie was released on September 25, 2009. The third single, “Feel It”, featuring Tiësto, Sean Kingston and Flo Rida was released in November, the single was later nominated for ‘Best Hip Hop Dance Track’ at the 2010 International Dance Music Awards. The last single to be released from the album was “Shots After Shots”, which featured Tech N9ne and production by Dr. Luke. The album has since been put on hold by Columbia Records, with DJ Paul and Juicy J pursuing other ventures and solo careers. After a number of mixtapes, DJ Paul released his third solo studio album A Person of Interest on October 22, 2012. He announced that the album is a mix of gangsta rap and crunk music, with it also incorporating influences from dubstep and electronic dance music. The album featured past collaboraters Lil Wyte and Gucci Mane, and also came with a bonus DVD including a self-titled short movie, music videos and behind the scenes footage. On November 26, 2013, DJ Paul released Volume 16: The Original Masters, a remaster of his 1994 mixtape 4 Da Summer of ’94, on iTunes. From 2009 through 2012, Juicy J also moved away from Three 6 Mafia to focus on his solo career. During this time he released a number of solo mixtapes such as Rubba Band Business and Blue Dream & Lean. He also frequently collaborated with rapper Wiz Khalifa, appearing on a number of his mixtapes. In December 2011, Juicy J confirmed that he was the newest member of Wiz Khalifa’s Taylor Gang imprint – as an A&R and one-third owner of the imprint.After releasing a series of singles, including the chart topping “Bandz a Make Her Dance” which features 2 Chainz and Lil Wayne, Juicy J released his third solo studio album Stay Trippy under Taylor Gang Records, Kemosabe Records and Columbia Records on August 27, 2013. Juicy J has since stated that he would still “love to” participate in a Three 6 Mafia album in the future. 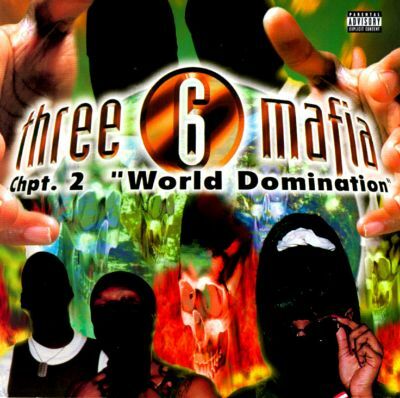 In 2013, it was announced that five of the six original members of Three 6 Mafia, DJ Paul, Crunchy Black, Koopsta Knicca, Lord Infamous and Gangsta Boo, were reuniting as “Da Mafia 6ix” with plans to release an album, which is currently scheduled for a March 2014 release. Recording began in Las Vegas in late 2013.Due to the established contracts with Sony, who own the rights to Three 6 Mafia, Juicy J could not perform with DJ Paul in a different group not under the label. DJ Paul explained the name change of the group was because of Juicy J’s absence, and that he would “look at it as a new project”.On November 12, 2013, Da Mafia 6ix released their first mixtape 6iX Commandments. The tape was almost entirely produced by DJ Paul and featured Yelawolf, 8Ball & MJG, Krayzie Bone, Bizzy Bone, SpaceGhostPurrp and HCP affiliates Lil Wyte, Skinny Pimp and La Chat, among others.Juicy J and Project Pat also appeared as surprise guests on the posse song “Body Parts”, being credited just as “& more” in the track listing. The mixtape was supported by the lead single “Go Hard” featuring Yelawolf.The mixtape also received a retail release and debuted at number 34 on the US Billboard Top R&B/Hip-Hop Albums chart. On December 21, 2013, founding group member Lord Infamous died of a heart attack in his sleep at his mother’s home in Memphis, Tennessee. The reunited group’s album, Watch What U Wish, will be released in 2014.